It was a while ago I received a sample of the Pantene Pro-V Repair & Protect shampoo and conditioner in the mail. Not a full sized bottle. More like a travel or hotel size, but not those tiny little packages at least. You can get free samples from P&G (Procter and Gamble) by registering to pgeveryday.com . 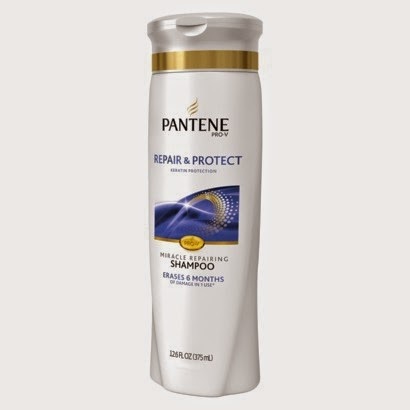 There have been some bad claims in the past about Pantene Pro-V , such as "it leaves a "plastic" coating on your hair". Well, I can assure you, I would know if my hair was covered in plastic and that is definitely not the case. In fact, it started to grow a little faster after a few washings. A huge plus for me because it feel like my hair grows a micro meter every turn of the century. It smells nice too, another plus. So far, this is the only shampoo and conditioner I've found that works on my daughter's hair. The other shampoos were leaving it greasy. I thought it was just her not rinsing properly or she was using too much product, but it was not like that with the Repair & Protect. I give it 4 stars because it's a great product that seems to be doing what it says. However it doesn't fix my frizzyness problem. By the way, they also sell it as a 2 in 1 deal (shampoo + conditioner).